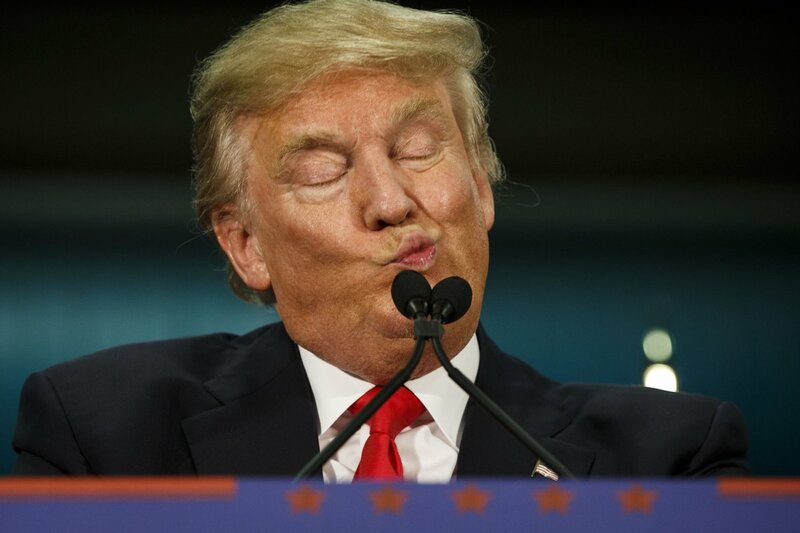 Donald the Dumb has done a lot of dumb things prior to and during his fake presidency. He says one thing one day and reverses it the next day. He accomplished nothing during his first 100-days except having Gorsuch appointed to the Supreme Court, which the Senate changed the rules allowing his appointment to go through. He also signed a couple dozen executive orders. However, merely signing executive orders isn’t an accomplishment. He just acted. That being said, he signs his executive orders as if he is John Hancock signing the Declaration of Independence. Donald the Dumb has this photo framed in the Oval Office. At least, this fake photo is funny. What isn’t funny, but pathetic, is the actual showing off his signature as our fake president. Yo, Donald the Dumb, we aren’t impressed. 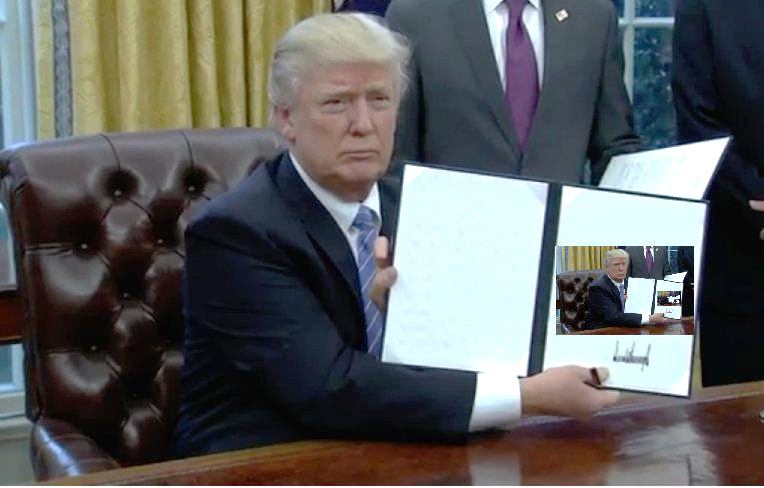 There is Donald the Dumb with a leather-bound folder with an executive order. He signs the order and then show-off his signed document. He acts like a first grader showing off his penmanship to some teacher. He is so narcissistic that he wants everyone to see his signature. Yo, Donald the Dumb, grow up. While in Burma (Myanmar) several years ago, I visited a day care center for toddlers. The day care center began the formal educational process by teaching toddlers how to write in English, which is their second language. Now, I admired their bilingual abilities and penmanship. Yo, Donald, these children were toddlers writing in their second language. I approvingly told them that they did well in their writing skills as three or four-year-old. I am proud of them. This little girl was happy with her work. 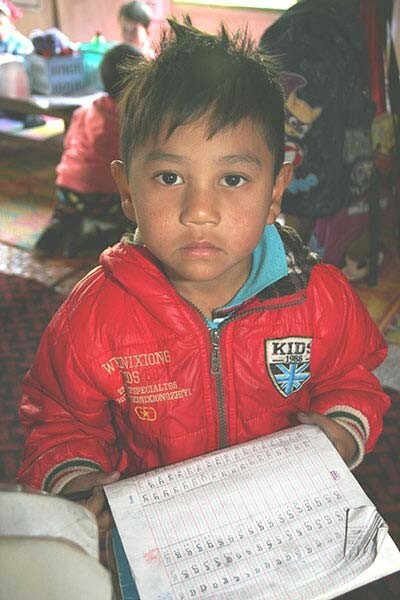 This serious little boy wanted me to check his penmanship. He wanted my approval also. There must have been two dozen children in this class. All of them were proud of their writing in both Burmese and English. Do you think any Americans or those from around the world are impressed with your toddler mentality? I’m not. 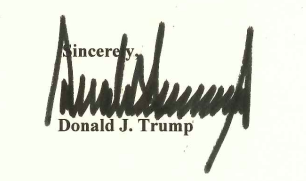 This is Donald the Dumb’s signature.